Manufacturers & Importers of Laboratory Reagents & Fine Chemicals. Molychem is in the business of manufacture and imports of laboratory chemicals and intermediates in semi-bulk and bulk quantities. We are one of the leading manufacturers of HPLC, AR/GR and LR Grade Laboratory Reagents & Fine Chemicals. Our Manufacturing Plant is Situated at Badlapur (65 Kms. From Mumbai). We have state-of-the-art plant and a well equipped Quality Assurance Laboratory. 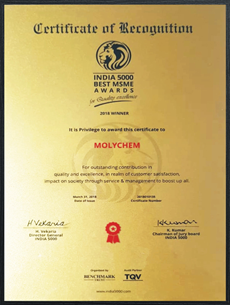 Molychem is known for its consistent Quality, Quick Service and Competitive Price. We can supply all our items in small as well as Bulk Packs. We also provide custom-synthesis to meet the needs of our customers. We can supply you the products of your interest and needs even beyond our Product List . To provide products and solutions to our clients for their needs through research, product development, efficient manufacturing practices, quality assurance and prompt support to ensure customer satisfaction. To be a preferred global provider of laboratory chemicals, reagents and other allied products to various industries who are the users of our products through innovation and hence benefit our partners, suppliers and stakeholders. 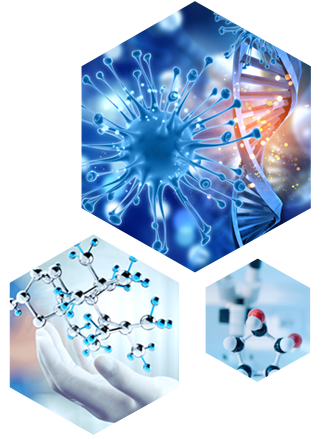 Our Primary objective is to satisfy its customers which is implemented by adopting the policy of Right Quality and Timely Delivery of Laboratory Reagents and Fine Chemicals. 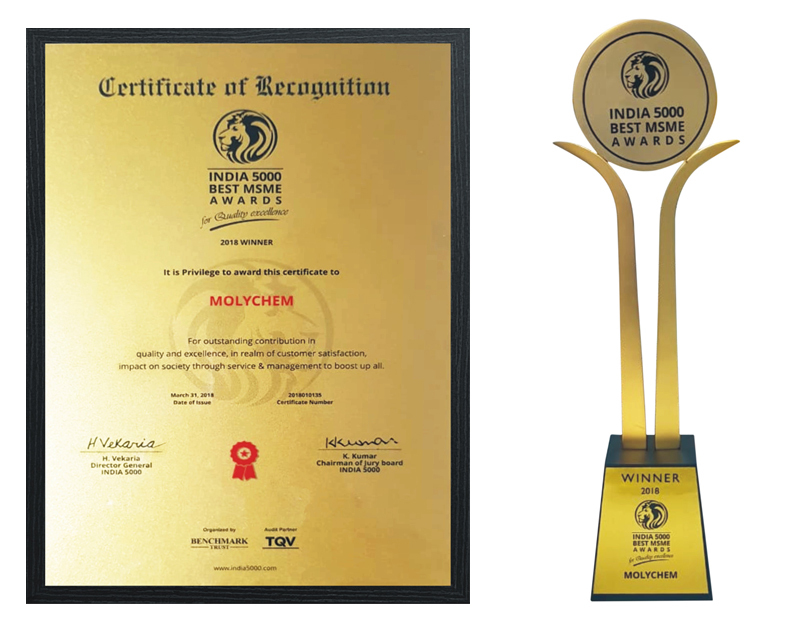 MOLYCHEM is also committed to implementing a Quality Management System as per the guidelines of ISO 9001:2015 and continually improving its effectiveness. Purified commercial products used in general chemical laboratories. Reagents useful for analytical purpose and research work where high purity is essential. General purpose reagents used in many potential applications in chemical laboratories. Continuing advances in the use of HPLC have lead to an increased demand for solvents and reagents in wider range of application areas, particularly for bimolecular and ion separation. These are solvents of high optical purity for UV / Visible / IR / Fluorescence / NMR and Mass spectroscopy. These chemicals are provided as power and ready to use solutions for Microbiology, Histology, Hematology and Cytology. Highly purified reagents for use in biochemical research and analysis. A broad range of culture media bases, additives, stains and indicators for use in detection, growth and identification of microorganisms. Laboratory cleansing agent - neutral, phosphate free and alkaline. Highly pure additives for ion pair chromatography are suitable for detection in the low UV range.